From the very beginning, when Post Brewing Co. opened its first restaurant in Lafayette in 2014, Glassford said, “the vision has always been that our beer should taste good, everyday beer for people who drink beer every day. 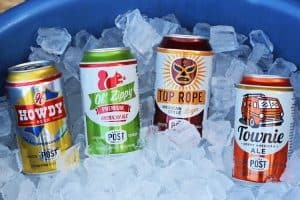 Our beer is the perfect pairing for yard work and a fishing rod, just as the heart of The Post is a blue-collar style of food. 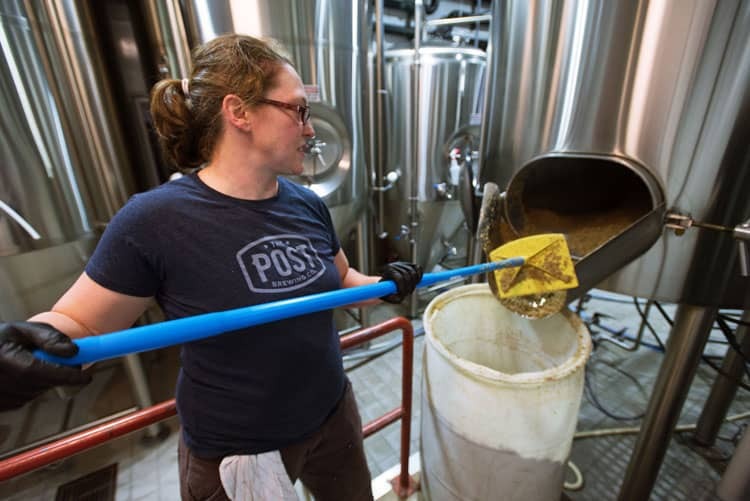 The Post’s blue-collar brewprint was drawn by Bryan Selders, who helped create innovative beers for Dogfish Head Brewing in Delaware for more than a decade and co-starred in The Discovery Channel’s Brew Masters reality-TV show. Boulder-based Big Red F Restaurant Group — which ran the former Q’s restaurant in Hotel Boulderado and currently owns Zolo Southwestern Grill, West End Tavern and Centro Mexican Kitchen in Boulder as well as Lola Coastal Mexican restaurant in Denver and Jax Fish House seafood eateries in Fort Collins, Glendale, Lower Downtown Denver and Kansas City, Mo. — hired Selders away in 2013 to run the brewpub and chicken restaurant it was to open the next year in Lafayette. He teamed up with Brett Smith as executive chef and partner. “Smitty” had held the reins at Zolo and crafted the gluten-free roast chicken, homey side dishes and desserts for The Post’s menu. Glassford had helped open Riff’s Urban Fare and West Flanders Brewing Co. in Boulder before joining Dave Query’s Big Red F at Centro. Yet even with Selders’ fame as a foundation, Glassford said, beer that would win awards wasn’t the original focus. History indeed. 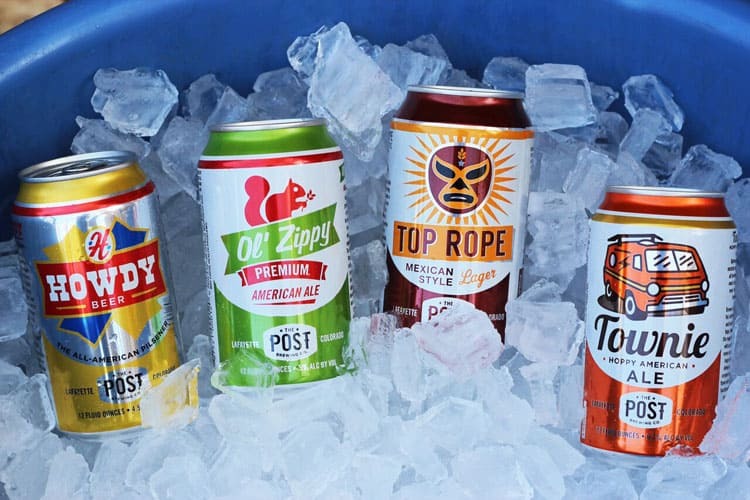 The Post’s Howdy pilsner won a silver medal at the 2014 Great American Beer Festival and gold at the 2016 U.S. Open beer championship, where its Top Rope lager took silver. 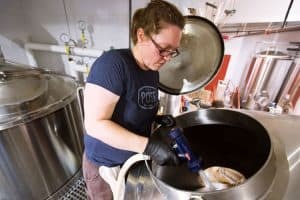 Its Achtertuin Seizoen farmhouse ale collected a gold at the 2015 GABF, and its Townie IPA won silver at the 2015 Denver International Beer Competition, where its Meathooks mild ale won a bronze. Building on its success in Lafayette, The Post’s team opened in south Denver’s Rosedale neighborhood and started a counter-service concept called Goodbird in Longmont. In 2017, Query struck a deal for a downtown Boulder location with Shine Restaurant and Gathering Place after its owners — triplets Jill, Jessica and Jennifer Emrich — announced they wanted to cut out the brewery portion of their business and move their organic, gluten-free restaurant to a smaller space to the east on Canyon Boulevard.